America's Last Frontier is a destination everyone should visit at least once in a lifetime of travel. Alaska's vast, untouched waters and shores are rich in breathtaking scenery and abundant land and marine wildlife in an unparalleled spectacle of Nature. Cruising along the pristine, emerald coast between British Columbia and Alaska is one of the very best perspectives and ways to experience Alaska's riches. 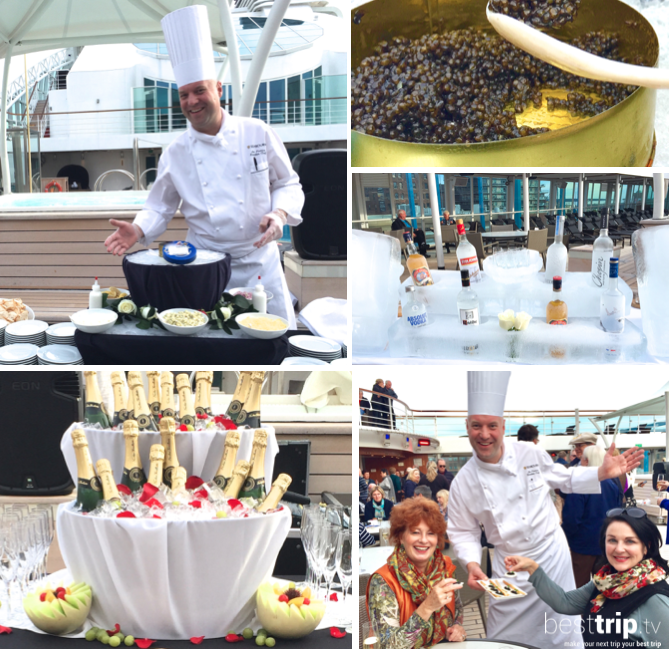 Not just any cruise; here's what makes an Alaska cruise on ultra-luxury Seabourn so special. In a place of natural splendor like Alaska, a smaller ship gives you ample space to feel you are part of your natural surroundings. And it sails into ports that other, larger ships can't access. Seabourn Alaska itineraries include marquee ports like Juneau and Ketchikan, but also ports that are off the beaten cruise ship path, like Misty Fjords, Klemtu, Wrangell, Inian Islands, Chiswell Islands, Aialik Glacier and Holgate Glacier, ports that make your Alaska adventure one-of-a-kind. You share your Seabourn ship in Alaska with fewer than 500 fellow guests. No crowding on decks, no line ups to shore… during daytime sailing, you can stroll on a deck surrounded by the quiet serenity of the impossibly fresh air and the sounds of the waves passing the ship and the densely-forested shore. Every space on a Seabourn ship gives you a feeling of being connected to the sea. All suites are ocean-front, many with verandas, and never far above the waves. Imagine waking in a verdant fjord to chunks of icebergs floating on glassy waters seemingly at arms' reach off your teak veranda rail. Or the unforgettable experience of sailing in crisp sub-arctic air while sipping champagne in a one of the toasty hot tubs on decks. Dining on Seabourn is always a treat. Everywhere Seabourn sails, chefs onboard plan menus like they are serving guests on a private yacht rather than a cruise ship, personally shopping for ingredients in local ports and featuring field- and farm- and fishing-boat fresh flavors on menus that surprise and delight daily. In the rich waters of British Columbia and Alaska, that's a bounty of crab, salmon, oysters and other local delicacies that are so exquisitely fresh and beautifully prepared, it will spoil you for dining on them anywhere else in the world. Anyone who has traveled on Seabourn has a story of their favorite Seabourn moment. On every sailing, the ship's crew goes above and beyond to come up with spontaneous experiences that bring you closer together with your fellow guests, with your destination, and with the warm and enthusiastic crew. 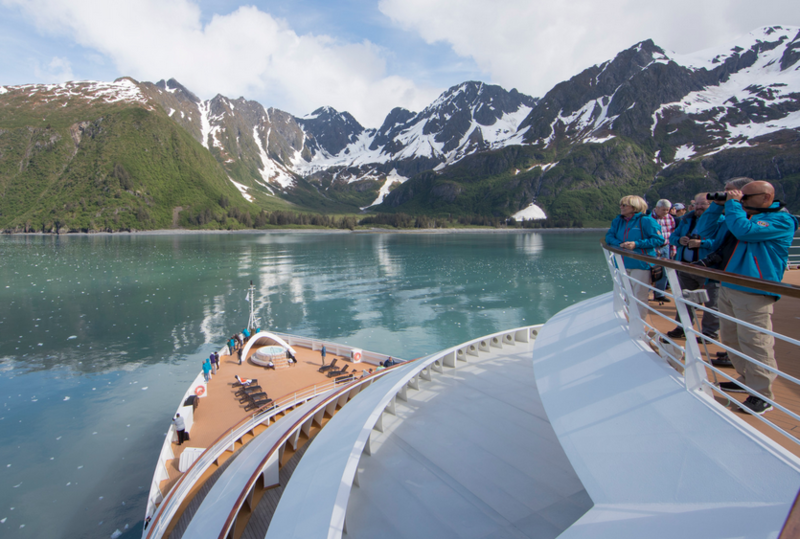 How do Seabourn moments put a smile on your face in Alaska? One day, you may return from a wind-swept shore excursion to find 'Hot Chocolate with a Twist' on the Pool deck, where Seabourn bartenders are set up serving everyone's favorite comfort drink – with an optional twist of your liqueur and indulgent toppings that warm you up during your scenic sailaway. In cooler climates like Alaska, Seabourn's famous 'Caviar in the Surf' becomes caviar on ice. What pairs best: vodka or champagne? Why not both? At the open-air, pop-up party deluxe, vodka and champagne stations, chefs coming out of the kitchens to greet guests at caviar station, opening up super-sized cans of caviar and plating servings for guests, circulating staff, and the live band all come together in the ultimate Seabourn spirit of the moment. Seabourn's smaller ships can't just sail into Alaska's smaller ports, bays and fjords, they can also launch Zodiacs and kayaks directly from the Marina at the aft of the ship. Ventures by Seabourn are fun, accessible, active excursions that satisfy your craving to explore hands-on and up-close to Nature. You can join a small group of like-minded guests and expedition leaders including naturalists, marine biologists, ornithologists, geologists, historians and other experts. 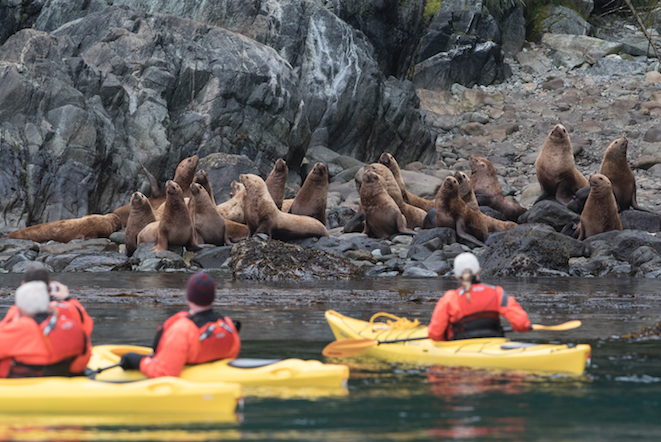 If you like exploring the outdoors, these are the Alaska experiences of your dreams: watch whales and eagles in Kenai Fjords from a Zodiac, or kayak up close to wildlife in Misty Fjords, take a photo safari for bears in Wrangell, or hike the Davidson Glacier. 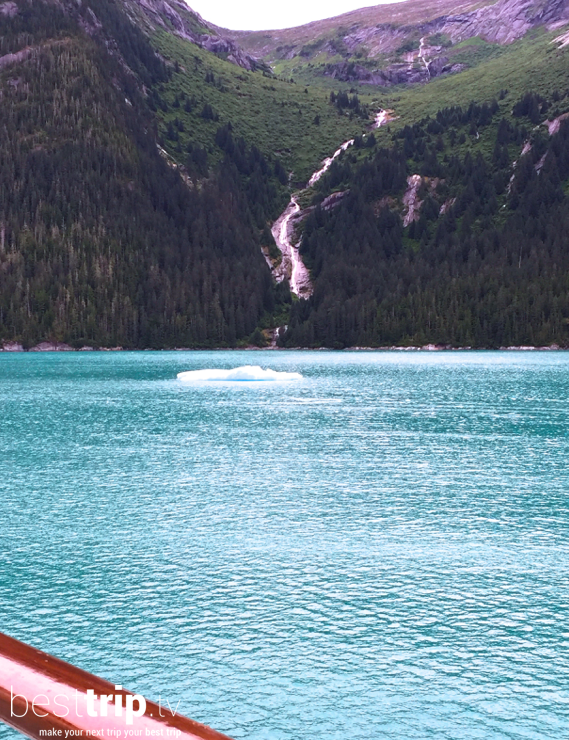 You won't want your Seabourn cruise in Alaska to end when you disembark, and luckily, it doesn't have to. 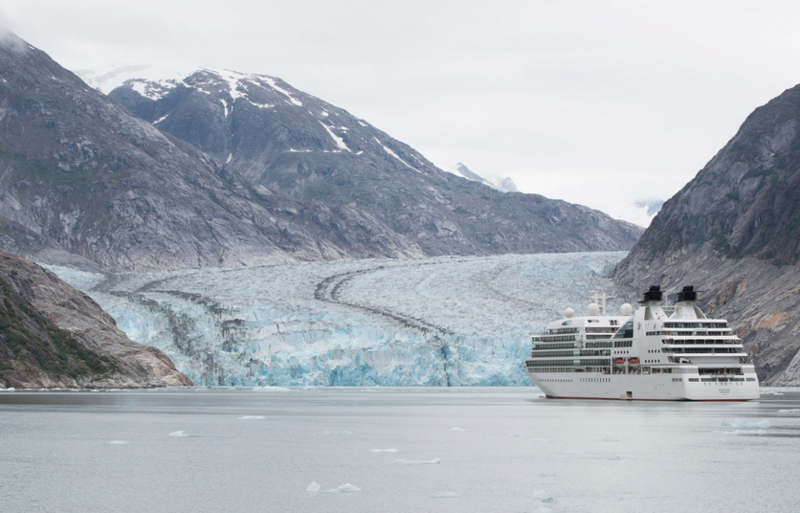 Seabourn has introduced pre- and post-cruise Seabourn Journeys, fully-escorted extensions inland from the ports at the beginning and end of its Alaska itineraries. 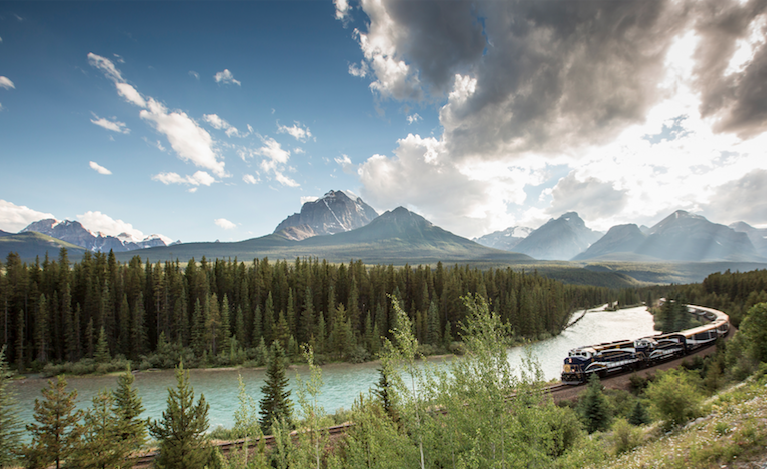 The UNESCO Banff National Park & Rocky Mountaineer Seabourn Journey delivers you to your Seabourn cruise in Vancouver following a 7-day trip that includes one of the world's most famous luxury scenic train journeys and an exploration of Canada's iconic UNESCO World Heritage national park. In Alaska, a Denali Seabourn Journey takes you by scenic rail to America's highest peak and the spectacular national park surrounding Mount McKinley. It's a 5-day experience that features a flight over Ruth Glacier and a guided tour to spot grizzly bears, wolves, moose, caribou and other wildlife park residents. Traveling with Seabourn in Alaska gives you a welcoming, ultra-luxury journey to the majestic, sub-arctic 'safari' destination in our backyard.